On the latest evidence from the Middle East, Western governments continue to be the best friends of dictators with money to hide. 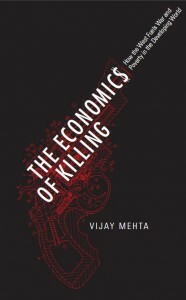 Vijay Mehta, author of the Economics of Killing, exposes the corrupt relationship between the Global North and South and proposes a shift for ending conflict. Back in February, we were supposed to let out a collective cheer when European governments said they had “frozen” the assets of Hosni Mubarak, the toppled dictator of Egypt. Switzerland, Britain and other European states said that they had heeded calls from Egypt’s new leadership to seize the wealth Mubarak had hidden in their cities, and to return this money to Egyptian taxpayers. It often takes a curiously long time for European countries to repatriate such funds to their country of origin; legal questions, ignored when the money was first ‘invested’ or laundered, suddenly emerge. This was to prove sadly prophetic. By September, a BBC investigation had discovered that many of Mubarak’s assets had not been frozen by the British, and that Britain was refusing to hand over the assets they had seized. Assem al-Gohary, head of Egypt’s Illicit Gains Authority, told the BBC that the UK “doesn’t want to make any effort at all to recover the money”. Having accepted Mubarak’s millions on a no-questions-asked basis, the British authorities were suddenly very sensitive to the legal status of the sums involved. The UK and other European governments make very little effort to deter foreign officials from hiding their shadowy fortunes in European bank accounts and real estate. The “freezing” of assets only takes place once a dictator is out of power, or about to be. These “freezings” fulfil three purposes for European governments: they make them appear committed to freedom and transparency; they let the dictator’s replacements know that Europe is on “their side”; and they also let these replacements know that if they wish to stash their own ill-gotten assets overseas, Europe is there to help. It should also be noted that Europe makes very little effort to prevent its companies from bribing these corrupt leaders to secure lucrative government contracts. For the past three years the OECD has collected data for the number of foreign-bribery convictions secured by the richest countries against their own citizens and corporation. Perhaps surprisingly, the most successful was the United States. In 1977 President Jimmy Carter signed the Foreign Corrupt Practices Act (FCPA), powerful legislation that to this day punishes US companies who bribe their way through deals. In 2011, the OECD figures showed that 58 individuals and 28 American companies were sanctioned under the FCPA. Compare this to the numbers from Europe. In 2011 Sweden, France and the UK – all countries with huge arms industries, which sell in countries known to be corrupt – between them managed to prosecute just nine individuals and two companies for foreign bribery. In June, the OECD was forced to issue a statement describing Sweden’s anti-bribery laws as “far too weak”, and demanding change. Spain prosecuted no one in 2011; nor did the Netherlands. Australia had never successfully prosecuted anyone for overseas bribery, despite serious allegations against some of its firms. In other words, the West is not just hiding the money of dictatorships – it is paying it to them. This approach makes Western governments directly complicit in the kind of civil war now racking Syria. As a dictatorship becomes more corrupt, it becomes less likely to hand over power peacefully. A leader who has ruled honestly does not stand to lose a vast fortune if he steps aside, or to be prosecuted for embezzlement. Indeed, he or she may even benefit financially- the Mo Ibrahim Foundation offers a $5 million and a lifetime salary to former African leaders who governed responsibly. Corrupt dictators have the opposite set of incentives. If they lose power, they lose everything. Syrian dictator Bashar al-Assad is a prime example of this trend. 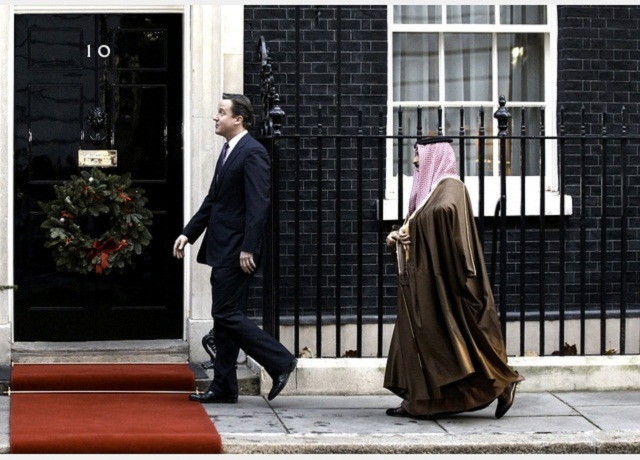 The UK has now “frozen” an astonishing £100 million linked to Assad and his clique. Some estimates put Assad’s fortune at almost £1 billion, distributed across a variety of money-laundering centres aside from the UK. However, if he loses power in the revolution, his replacements are certain to demand this money back. It is therefore little wonder that Assad, like Libya’s Muammar Gaddafi, has refused to step down or to accept offers of exile to avert Syria’s increasingly bloody civil war. Charges of grand corruption and money laundering will follow him wherever he goes. What reason, then, does he have to fear prosecution for war crimes? In any scenario, the result is likely to be a long prison term, or worse. The best Assad can hope for is impoverished exile. Had Europe not made it quite so easy for Syria’s dictator and his friends to stash their assets, he would not now be clinging so tenaciously to power. My book The Economics of Killing explores this connection between corruption and war which has been demonstrated many times over, particularly in the world’s poorest countries. Yet Western countries continue to accept the billions stolen by dictators, with no questions asked, and no thought of the consequences for peaceful transitions of political power. If we are to stop global conflicts, severing this corrupt relationship between the global North and South must become a priority. « Previous: Quebec Chronicles | A historic milestone or the beginning of the end for the student movement?